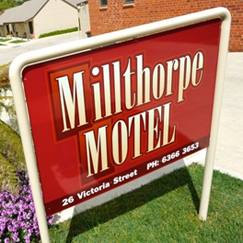 26 Victoria Street, Millthorpe NSW 2798 T 02 6366 3653 reception@millthorpemotel.com.au http://www.millthorpemotel.com.au The Millthorpe Motel is able to cater for all your accommodation needs from luxury Loft Apartments, Deluxe Rooms, a Family Room or Standard Options. 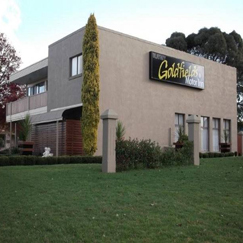 Ideally situated in the Central West between the regional centres of Orange and Bathurst, you will have easy access to the towns whilst staying and experiencing village life. 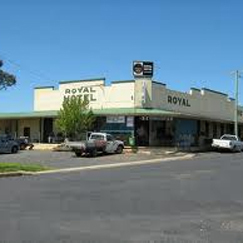 3 Main Street, Lyndhurst NSW 2797 T 02 6367 5024 royalhotellyndhurst@bigpond.com.au The Royal Hotel, Lyndhurst offers meals, accommodation, caters for parties and offers regular live music, The hotel's large beer garden is perfect for outdoor functions or just relaxing with friends. 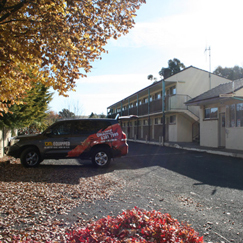 Double and single rooms are available with continental breakfast included. 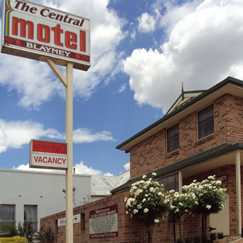 29 Carcoar Street, Blayney NSW 2799 T 02 6368 2755 http://www.blayneyleumeahmotel.com/ leumeahol@orange.com.au Blayney's Leumeah Motel is just 5 minutes' walk from Blayney's shops, services and restaurants. 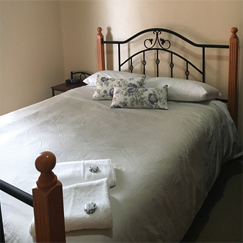 Offering self-contained apartments with free on-site parking, each apartment includes a fully equipped kitchen with oven, refrigerator and tea/coffee making facilities. All offer a dining setting and a lounge area with a flat-screen TV. 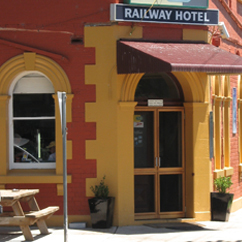 6 Belubula Street, Carcoar NSW 2791 T 02 6367 3009 royalcarcoar@gmail.com http://www.royalhotelcarcoar.com.au The Royal hotel offers accommodation for singles through to families. Shared bathrooms. Shared T.V. lounge. A continental breakfast is included in the price using a shared kitchenette. 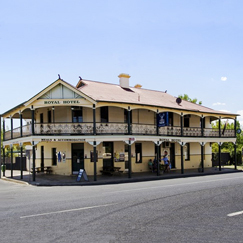 20 Elliott Street, Millthorpe NSW 2798 T 02 6366 3157 Millthorpe Railway Hotel offers comfortable affordable refurbished rooms with bar and bistro facilities available.